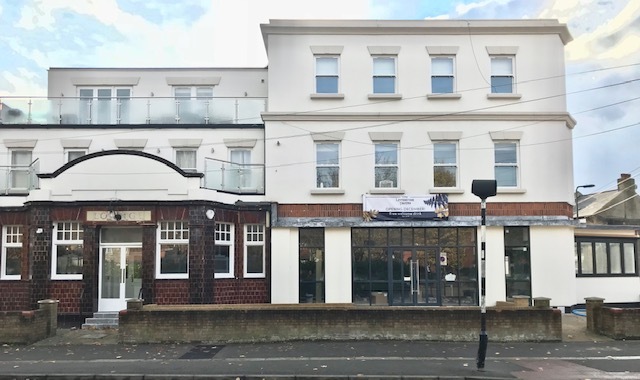 Ronnie Finch, owner of The Duke, Wanstead and The Coach & Horses, Leyton, is opening his third pub, The Leytonstone Tavern in the Cann Hall area of Leytonstone. Formerly The Woodhouse Tavern, the pub has been closed for four years, since being saved from demolition by a community asset order. Just one example of the strong surrounding community. Finch comments, ‘there’s lots of great things happening in the area at the moment and The Tavern aims to be the neighbourhood pub at the heart of it all’. Like the area, the Tavern has a coloured history. In October 1985 it made it into the Guinness book of records, where Paul Taylor scored the most trebles in a 10 hour period! Responding to the fact that the pub has been shut for so long, Finch added ‘Inspired by the close proximity to Wanstead flats, and the want to give locals something a bit extra, we’re going to sell flowers on a Saturday. The thought came from the fact the pub has been derelict for a while now and we thought what better way to bring it back to life than to, literally, inject some life into it’. One of the original beauties of the pub, that will remain, is the original lounge bar, complete with beautiful wood panelling. Finch explains the plans, ‘the lounge side will be kept fairly traditional, letting people relax and unwind with their drinks, whilst using the other side for casual dining. The conservatory makes it a lovely light dining room in the day, and the newly installed banquettes make for a cosy dinner. The lounge bar has always been a function room and we want to keep this going with it coming alive on a Saturday night’. As a freehouse once again, the pub will offer a wide range of local and international craft beers and will also have a unique focus on a growing drinks trend, craft cider. Expect gin classes, meet the makers nights, tap takeovers and throughout the harvest, apple donations for local cider. Coming from the pub background, and also owner of Danish bakery, The Bread Station, Finch will be keeping a close eye on the food. ‘Dishes will be comfort, seasonal food, with some noticeable pub classics on the menu. Dinner will be served Tuesdays to Saturdays, with Saturday brunch and Sunday roasts.